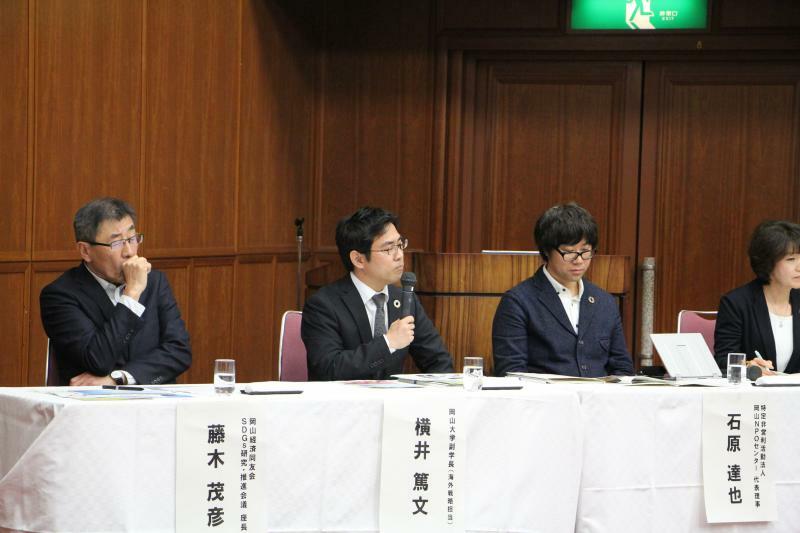 On February 17, a forum was held in the Okayama International Center to promote a deeper understanding of the U.N.-advocated Sustainable Development Goals, or SDGs (by Okayama City, Okayama University, the Okayama Association of Corporate Executives [Keizai Doyukai], and Okayama ESD Promotion Commission). 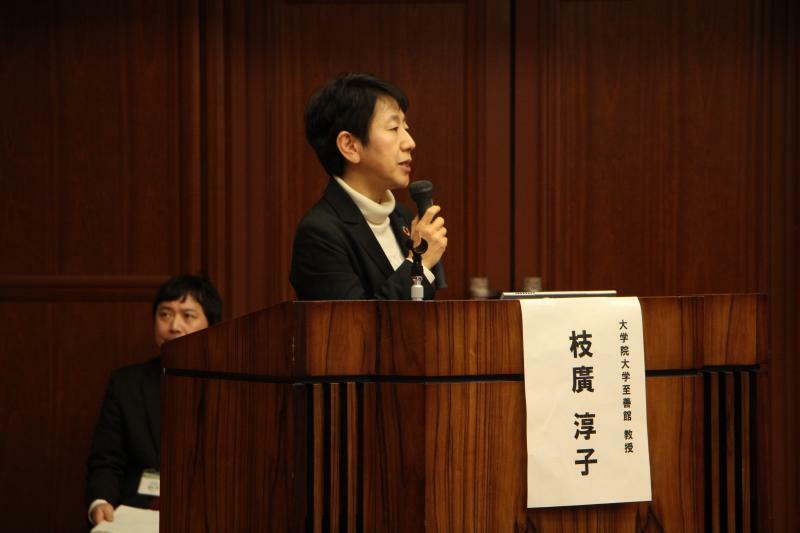 The forum began with opening addresses by Okayama City Mayor Masao Omori, Okayama University President Hirofumi Makino, and Mr. Masami Matsuda, the Chairman of the Okayama Association of Corporate Executives, which were followed by a keynote speech given by Ms. Junko Edahiro, an environmental journalist. After that, a panel discussion was held with four panelists on the stage: Ms. Miyuki Eda (Director of Civic Collaboration Bureau),Vice President for Global Engagement Strategy, Mr. Atsufumi Yokoi, Mr. Tatsuya Ishihara (Chairperson of Okayama NPO Center), and Mr. Shigehiko Fujiki (Head of the SDGs Study & Promotion Conference of the Okayama Association of Corporate Executives). 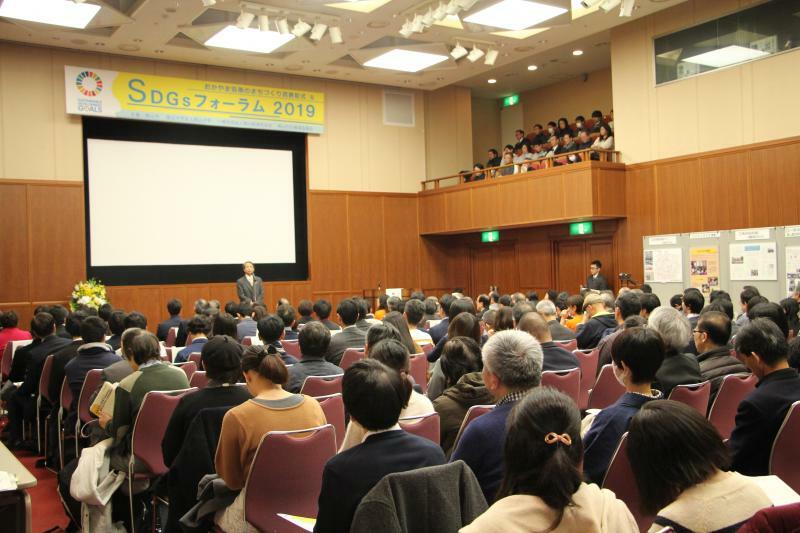 Vice President Yokoi said emphatically: “The year 2019 will be the ‘first year for management with emphasis on SDGs.’ With the catchphrase of “Move on Now,” proposed by President Makino, we intend to make university-wide efforts to promote SDGs management, and carry out specific projects strategically.” In addition, with Ms. Edahiro as coordinator, the panelists reported outcomes achieved through their respective SDGs activities and actively exchanged views on how cooperation among industries, government offices, and academic institutes should be strengthened to promote SDGs in Okayama. 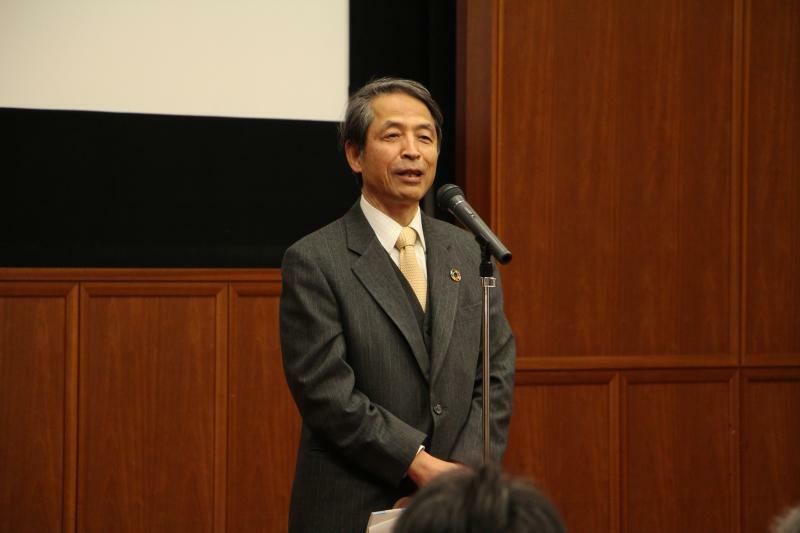 Later, after section meetings ended, the closing ceremony took place where a speech was delivered by Professor Hirofumi Abe of Okayama University Graduate School of Environmental and Life Science, who is also active as the Chairperson of the Okayama ESD Promotion Council. The forum was attended by approximately 300 people, including private citizens, and representatives from industries, government, and academia.